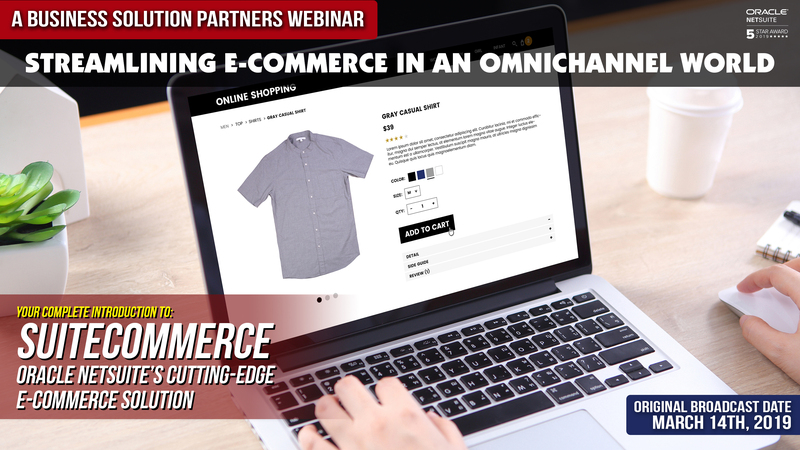 Welcome to Business Solution Partners Webinar: "Streamlining E-Commerce In An OmniChannel World"
Our latest NetSuite Tutorial Video focuses on creating allocation schedules in NetSuite. 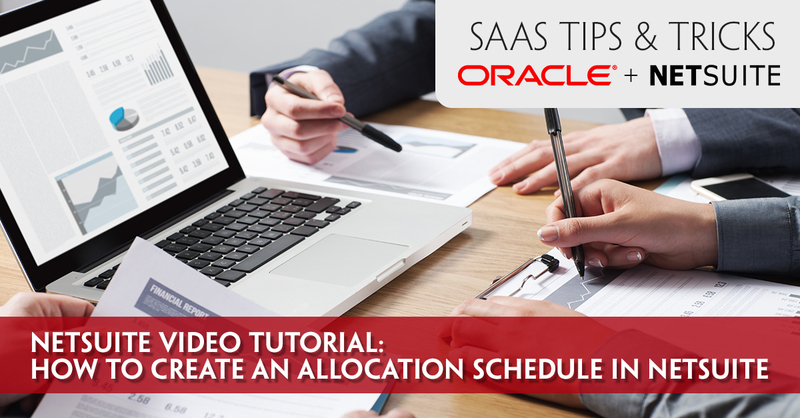 Allocation schedules can be confusing and cumbersome. 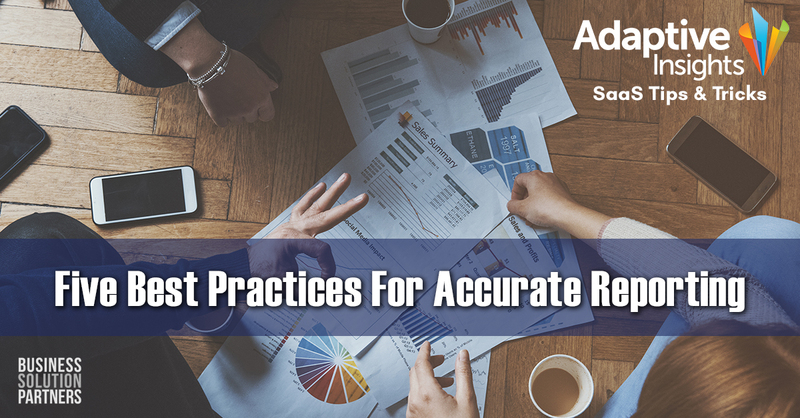 In this session, we take a step by step approach to accessing, creating and reviewing allocation schedules. HubSpot has evolved to become an Enterprise level Growth Platform with a ton of features and functionality. In turn, It can be difficult to identify the best areas of the platform to leverage for success. That’s why we’re delivering regular HubSpot Tips & Tricks to help guide your decisions. 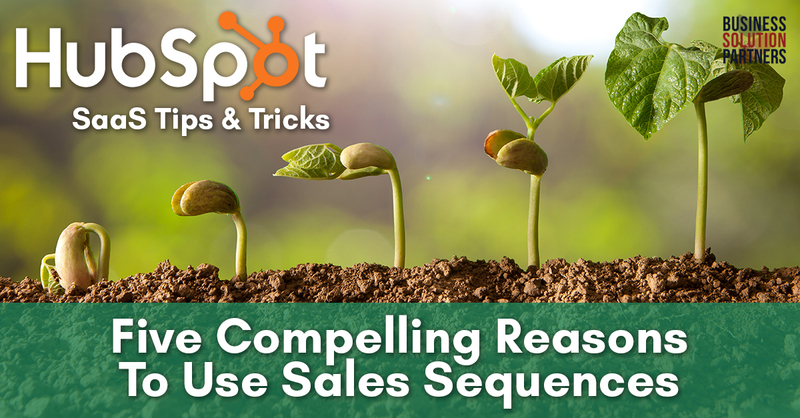 In this HubSpot Tips & Tricks post, we’re tackling Sales Sequences and providing you with five compelling reasons to use them. 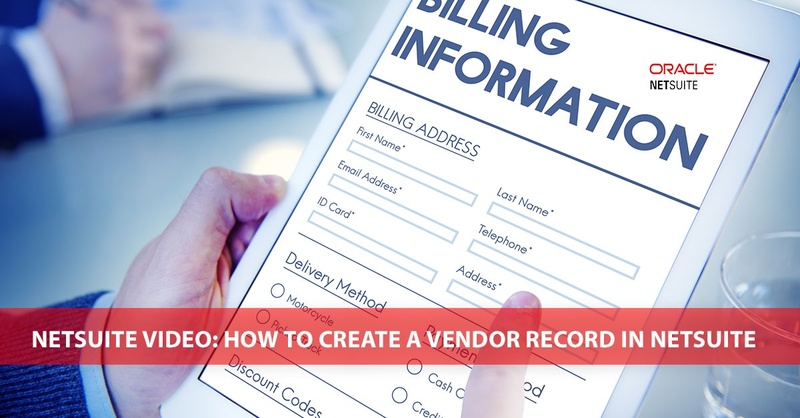 Maintaining strict procedures for processing vendor invoices keeps your business machine running smooth. 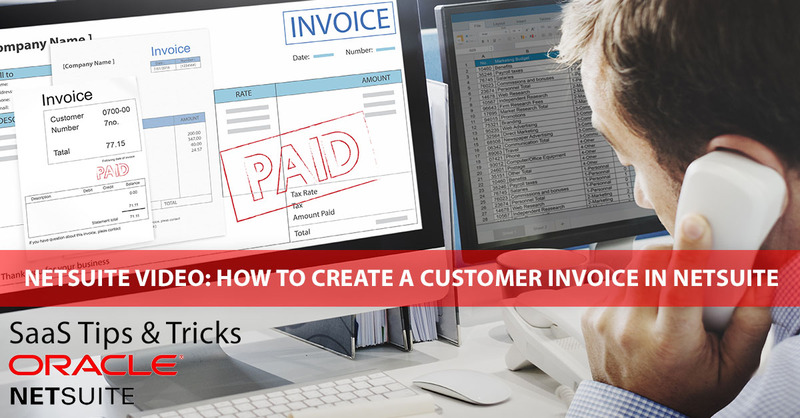 NetSuite is a great solution which provides an easy to mange Vendor Invoicing procedure. 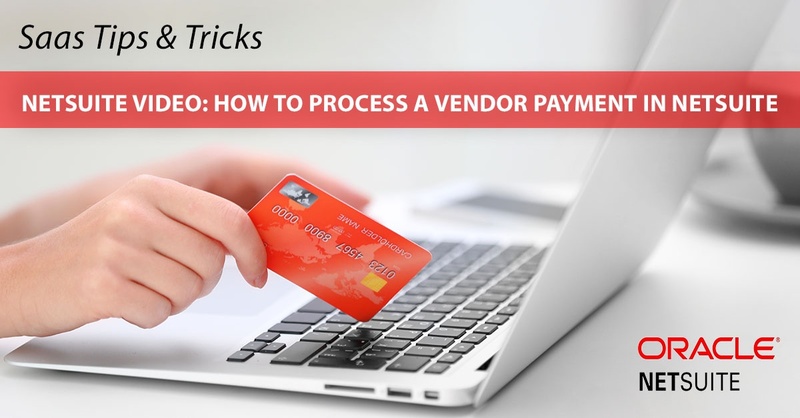 Join us for this short 8 minute video where we discuss the ins-and-outs of the Vendor Invoice, and provide you with some valuable tips and tricks for your daily workflows. 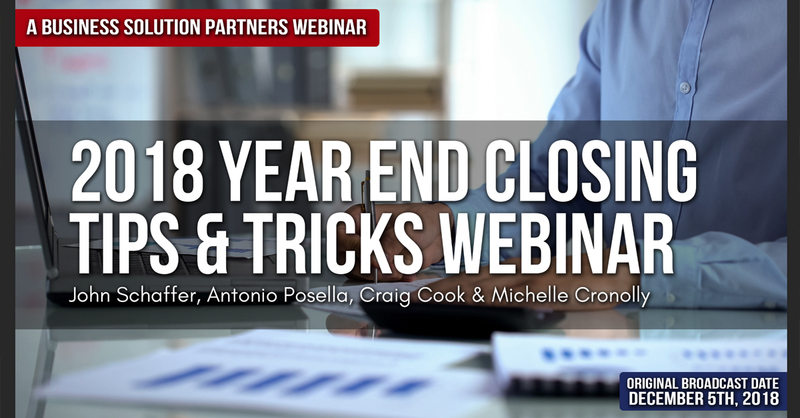 Welcome to Business Solution Partners' Webinar: "2018 NetSuite Year-End Closing Tips & Tricks" In this 45 minute presentation, you'll hear from John Schaffer about best practices for the Year-End Close (YEC), and some information about NetSuite's YEC functionality in the 2018.2 release. Next, Antonio Posella will demo the YEC process in NetSuite. Finally, we have a rousing Q&A session from our live attendees for you to enjoy. Whether you are just getting started at a new company, recently received a promotion, or simply need to learn some new skills for your shifting job role, tackling NetSuite for the first time can be daunting. But keep in mind - even the most skilled NetSuite admin was a newbie at one point in their career. Everyone starts out a NetSuite neophyte. It's up to you to build up your skills to master the platform for your job role. Business Solution Partners is here to help with our ever expanding library of tips and tricks for NetSuite. In this session, we take a deep dive into Vendor payments and walk you though all of the tabs, modules and choices you can make on a standard NetSuite deployment. Whether you are just getting started at a new company, recently received a promotion, or simply need to learn some new skills for your shifting job role, tackling NetSuite for the first time can be daunting. But keep in mind - even the most skilled NetSuite admin was a newbie at one point in their career. Everyone starts out a NetSuite neophyte. It's up to you to build up your skills to master the platform for your job role. Business Solution Partners is here to help with our ever expanding library of tips and tricks for NetSuite. 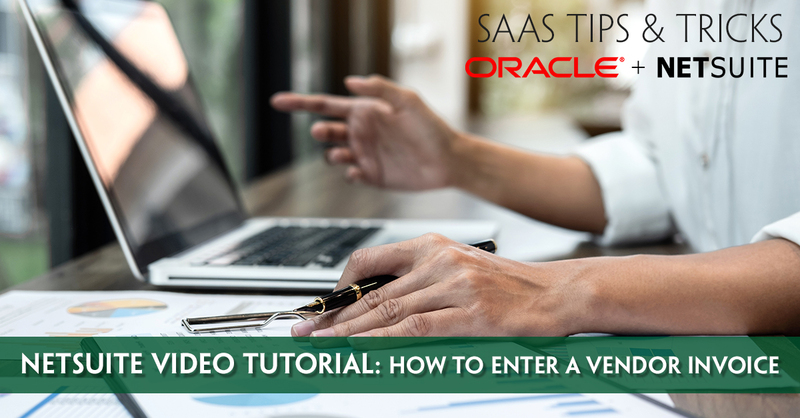 In this session, we take a deep dive into Vendor Records and walk you though all of the tabs, modules and choices you can make on a standard NetSuite deployment. Whether you are just getting started at a new company, recently received a promotion, or simply need to learn some new skills for your shifting job role, tackling NetSuite for the first time can be daunting. But keep in mind - even the most skilled NetSuite admin was a newbie at one point in their career. Everyone starts out a NetSuite neophyte. It's up to you to build up your skills to master the platform for your job role. Business Solution Partners is here to help with our ever expanding library of tips and tricks for NetSuite. In this session, we take a deep dive into customer invoices and walk you though all of the tabs, modules and choices you can make on a standard NetSuite deployment. Whether you are just getting started at a new company, recently received a promotion, or simply need to learn some new skills for your shifting job role, tackling NetSuite for the first time can be daunting. But keep in mind - even the most skilled NetSuite admin was a newbie at one point in their career. Everyone starts out a NetSuite neophyte. It's up to you to build up your skills to master the platform for your job role. Business Solution Partners is here to help with our ever expanding library of tips and tricks for NetSuite. 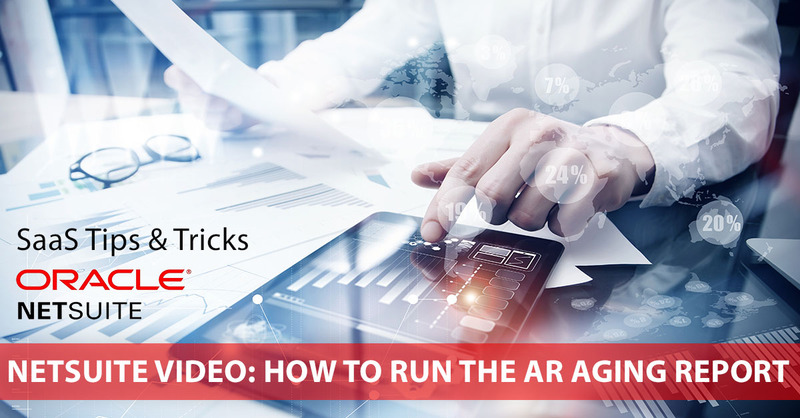 In this session, we take a deep dive into AR Aging Reports and walk you though all of the tabs, modules and choices you can make on a standard NetSuite deployment.